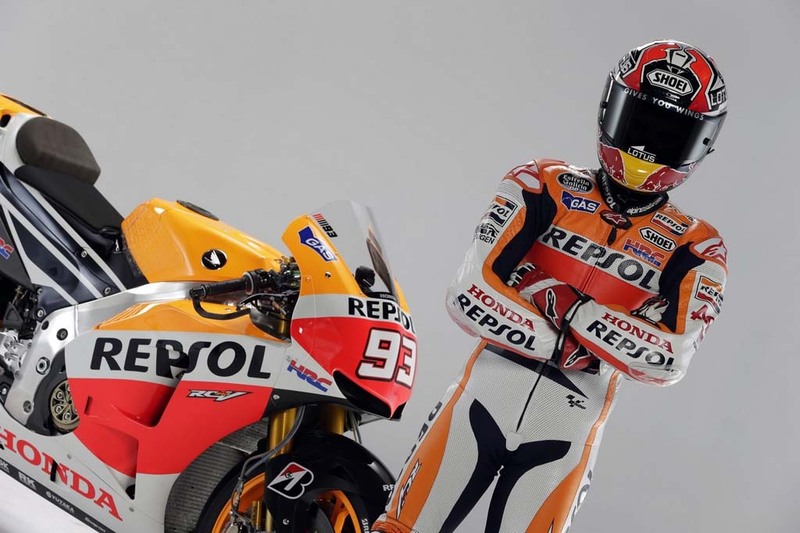 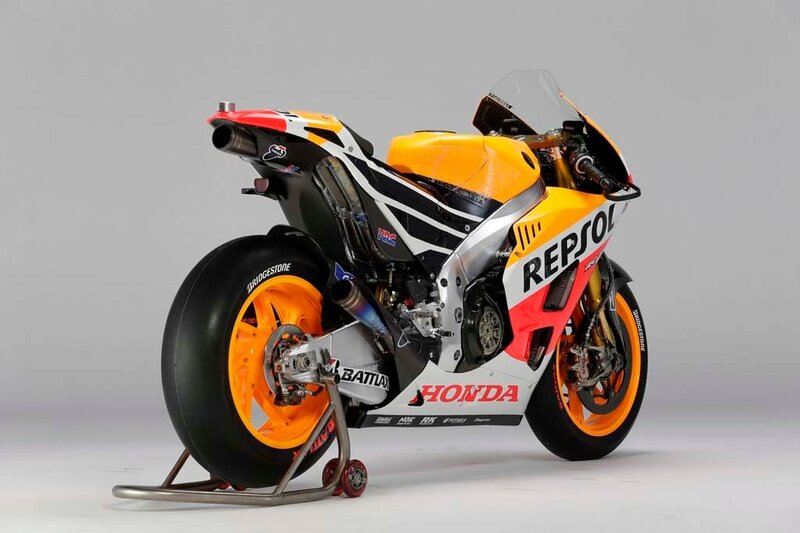 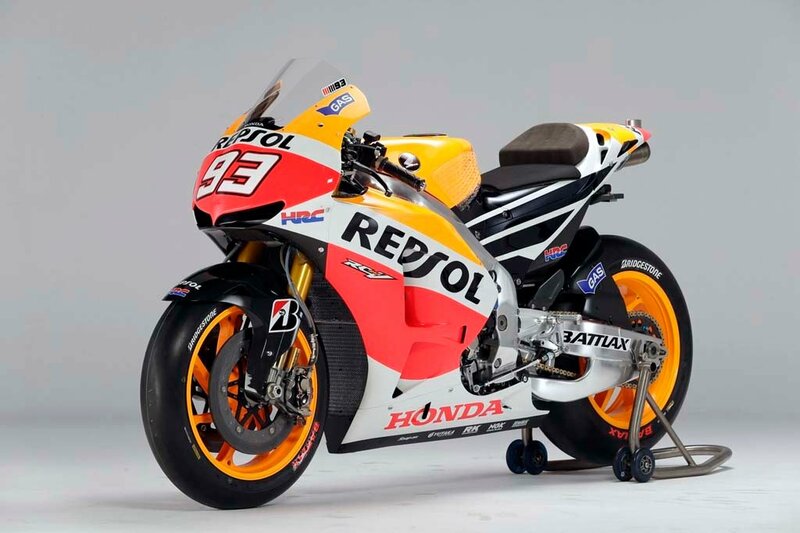 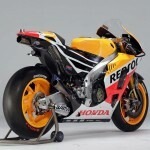 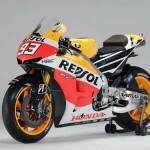 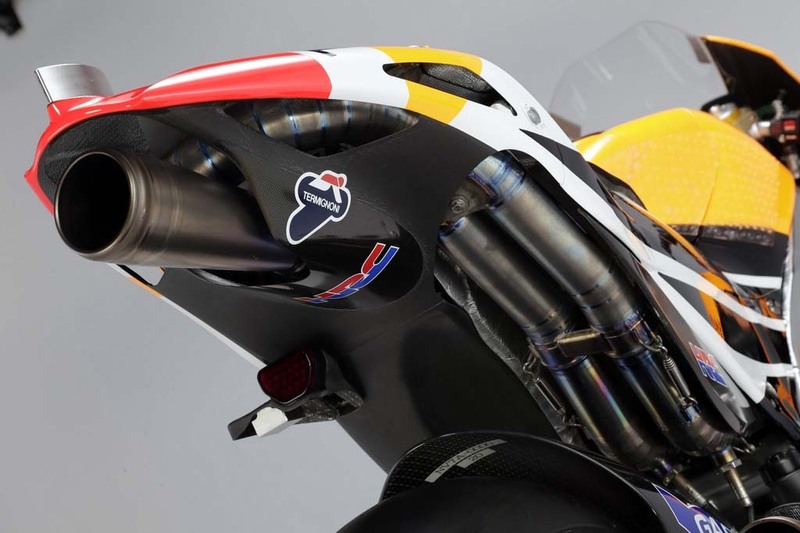 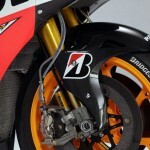 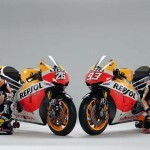 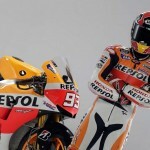 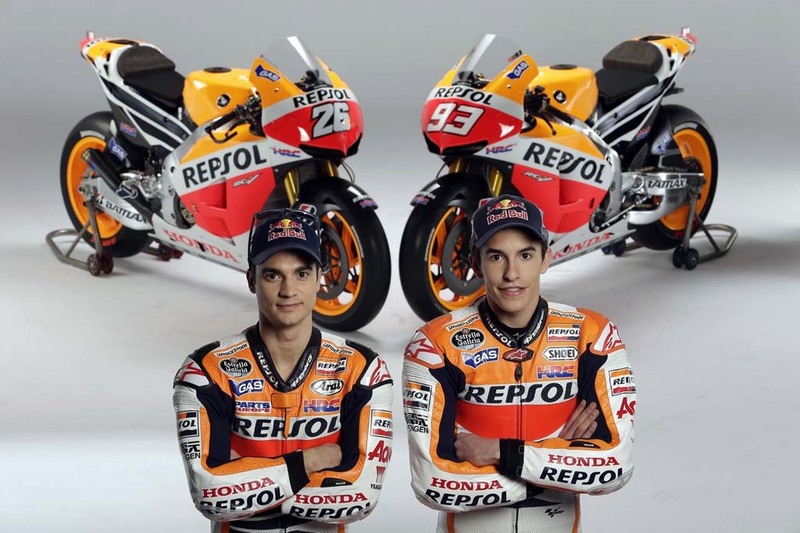 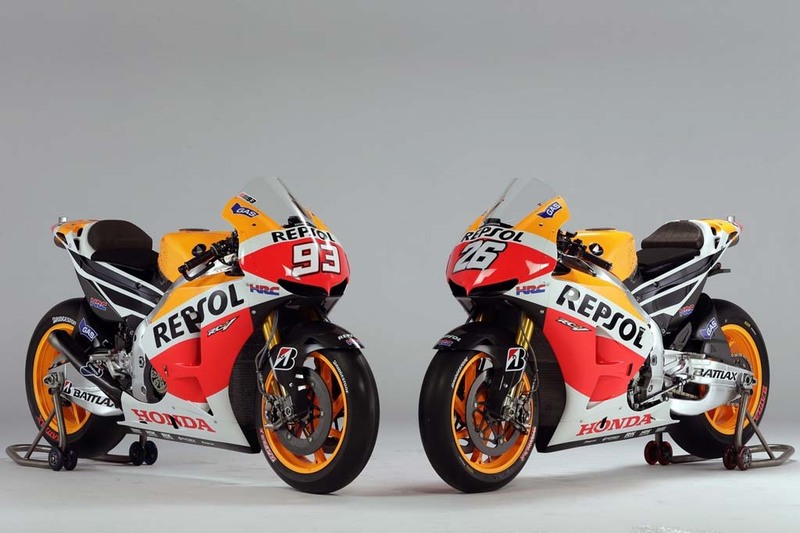 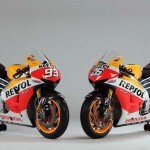 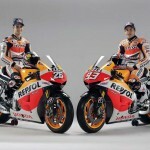 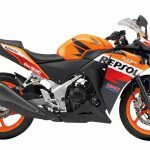 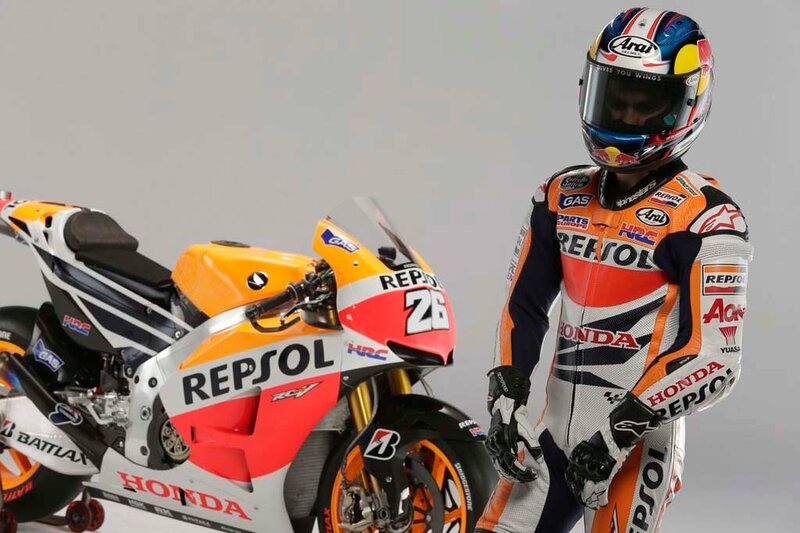 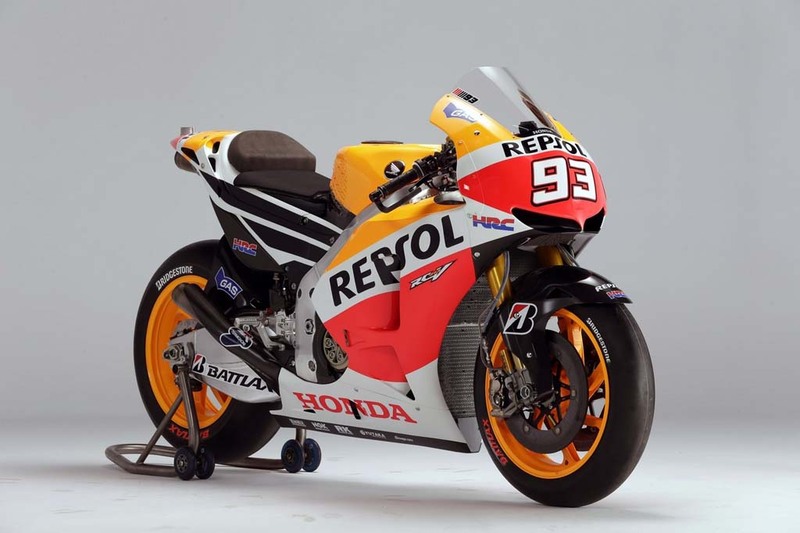 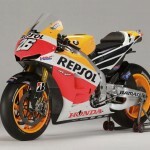 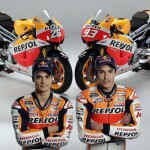 Repsol Honda revealed the livery off its RC213V racebikes and leathers of riders Dani Pedrosa and Marc Marquez for the 2013 MotoGP season. 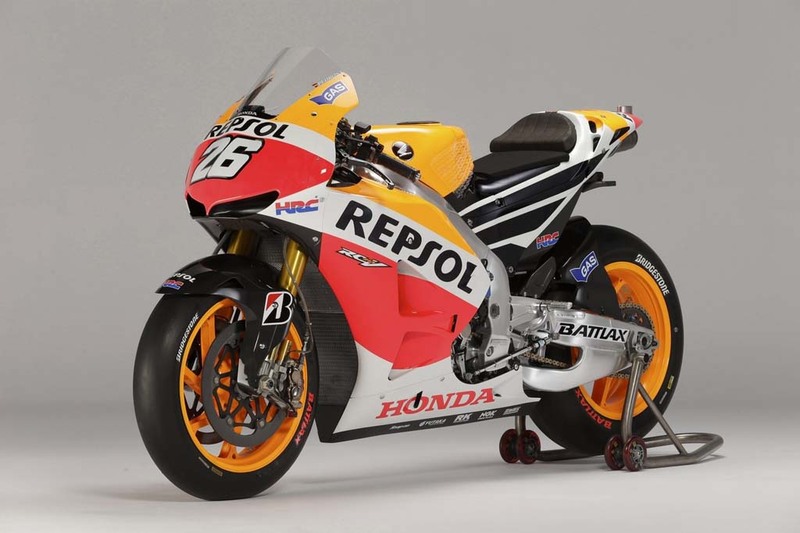 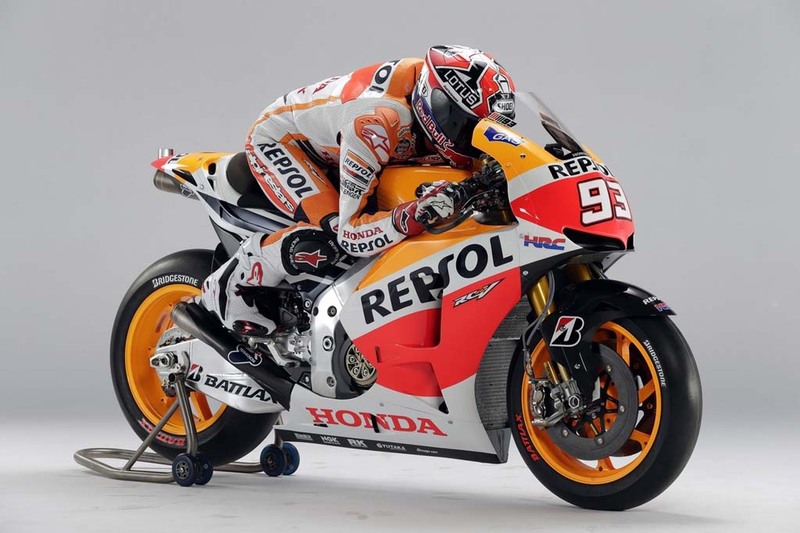 The livery is again dominated by the colors of the team’s top sponsor, Spanish oil giant Repsol, but with more white and less black, particularly along the bottom of the fairing. 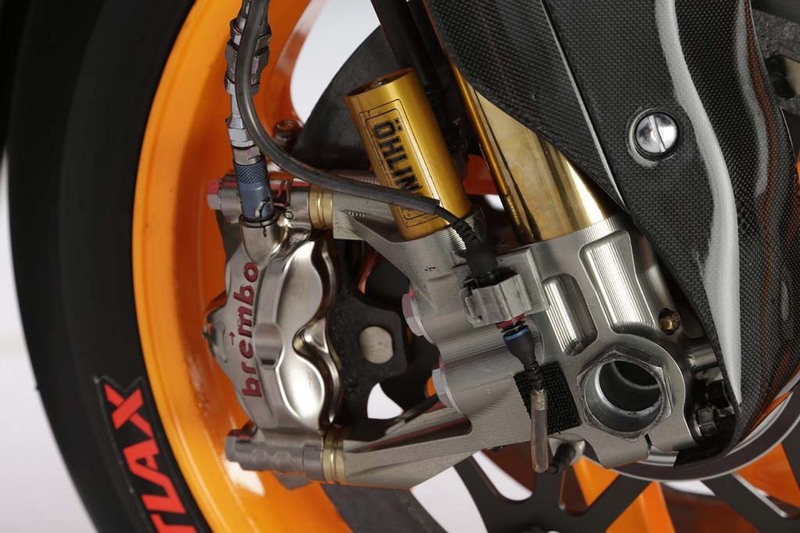 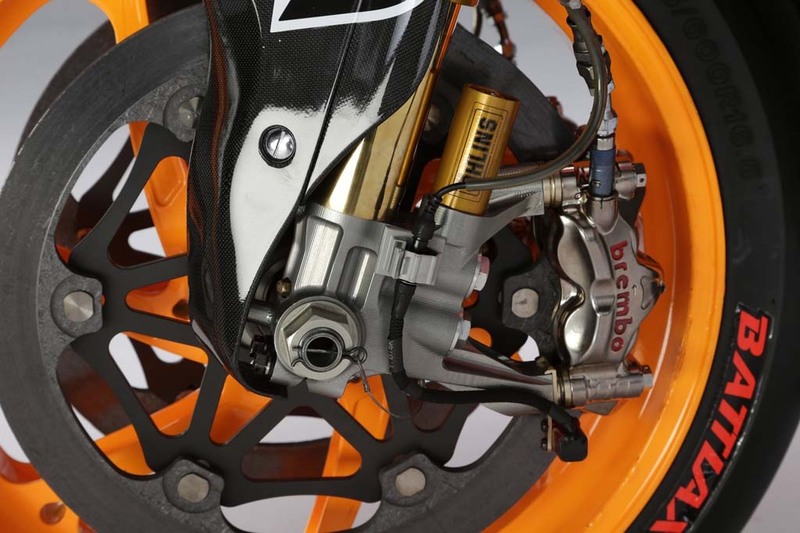 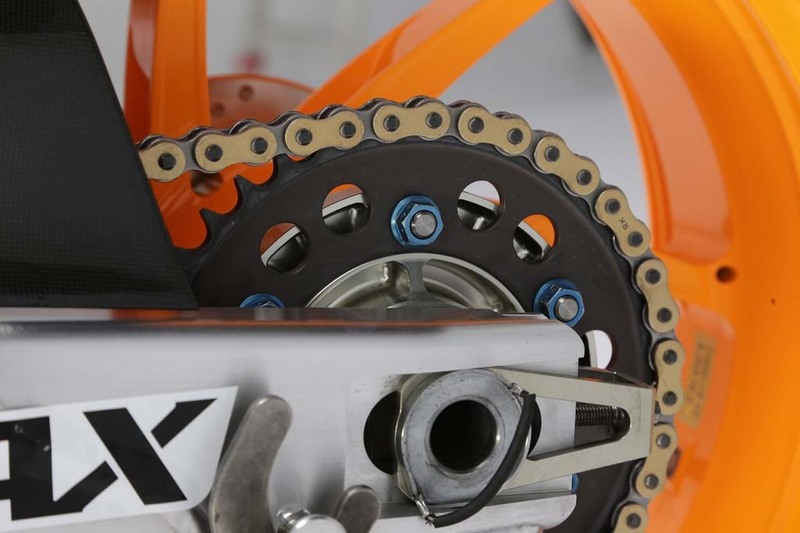 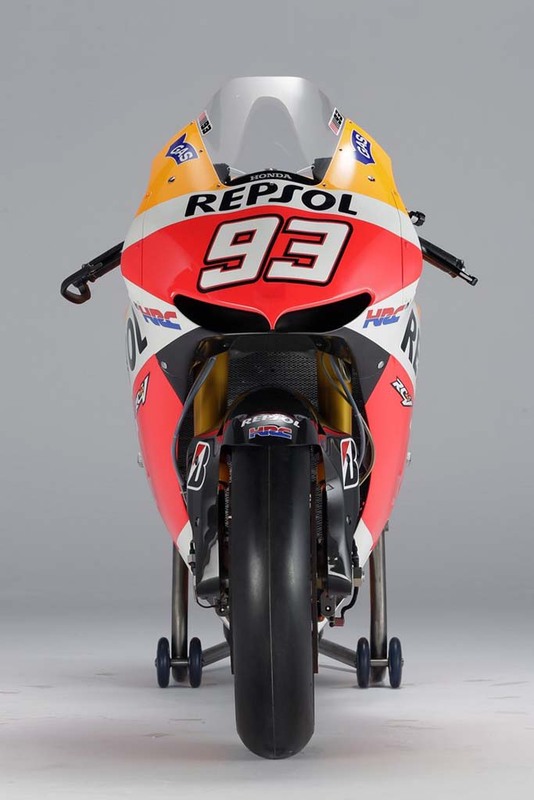 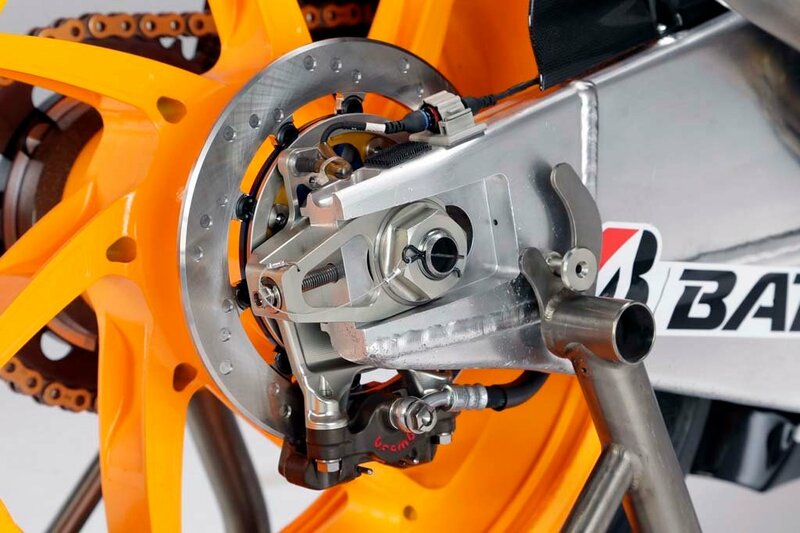 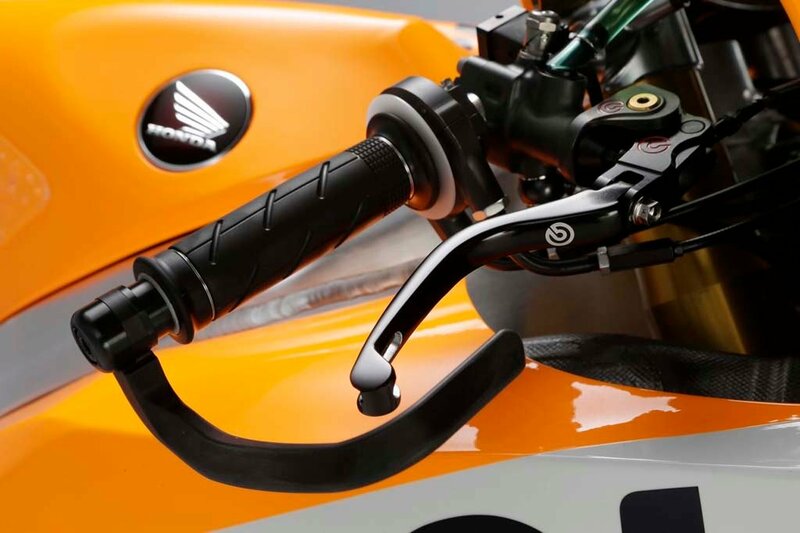 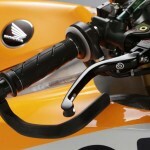 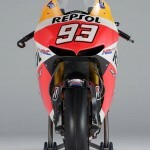 The Repsol logos on the sides now slope downward toward the swingarm whereas the previous design had them rising up toward the seat. 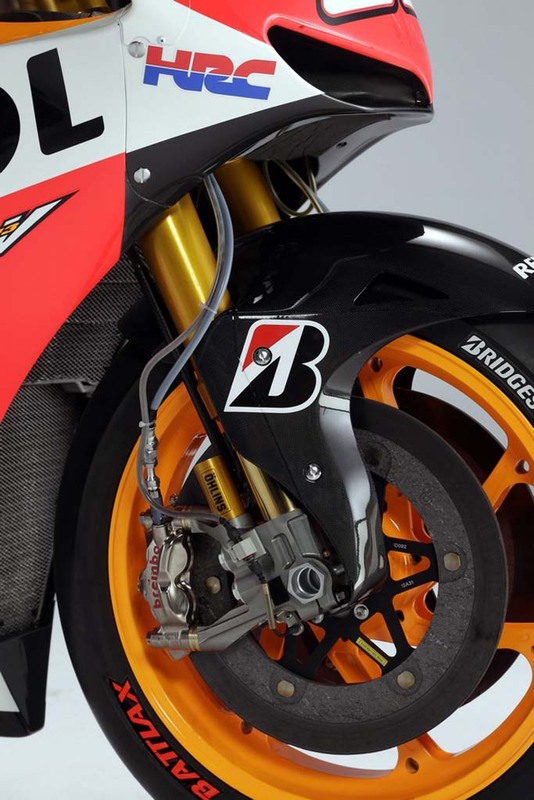 The new design keeps the Honda wing motif, but instead of running along the fuel tank like in last year’s livery, the wing tips extend along the side fairings under the seat. 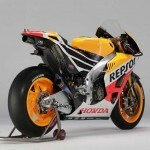 Honda also announced some changes to the team’s structure, with Livio Suppo being promoted to team principal. 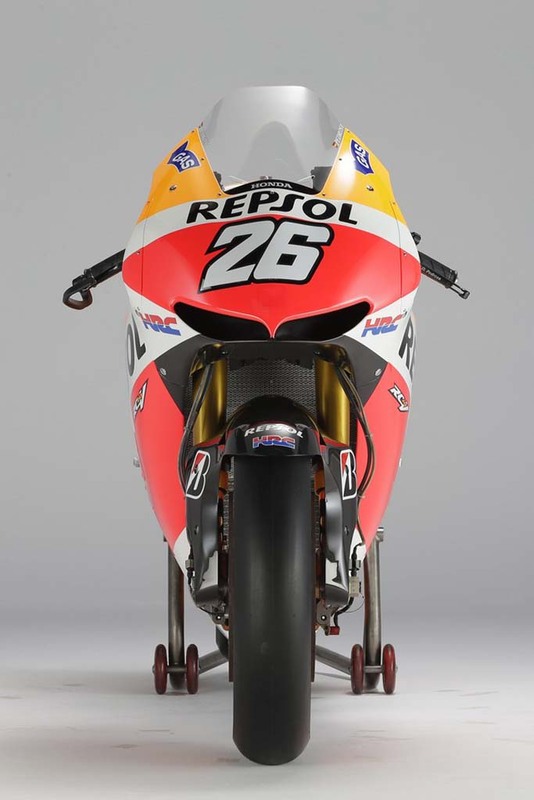 Suppo joined Honda in 2009, leaving Ducati to head the Honda team’s marketing efforts. 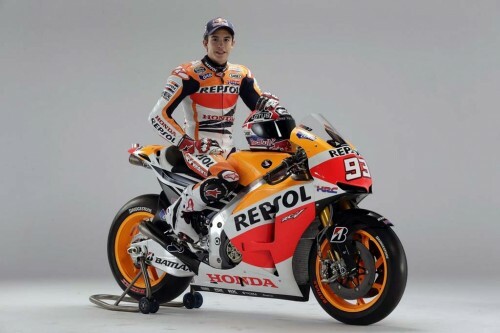 Though his previous role was officially to help attract sponsors, Suppo played a strong role in the racing side of things and may have been instrument in luring the now retired Casey Stoner to Honda from Ducati. 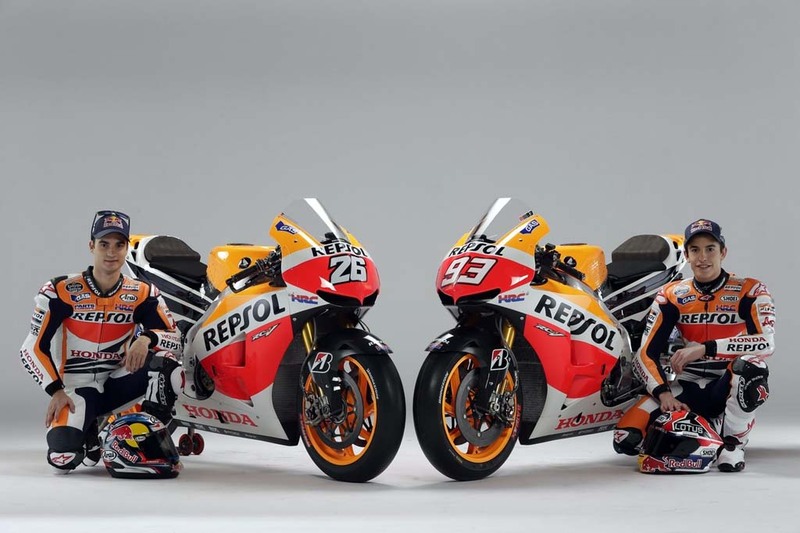 Other appointments include Takeo Yokoyama as team technical director, Hideki Iwano as team director. 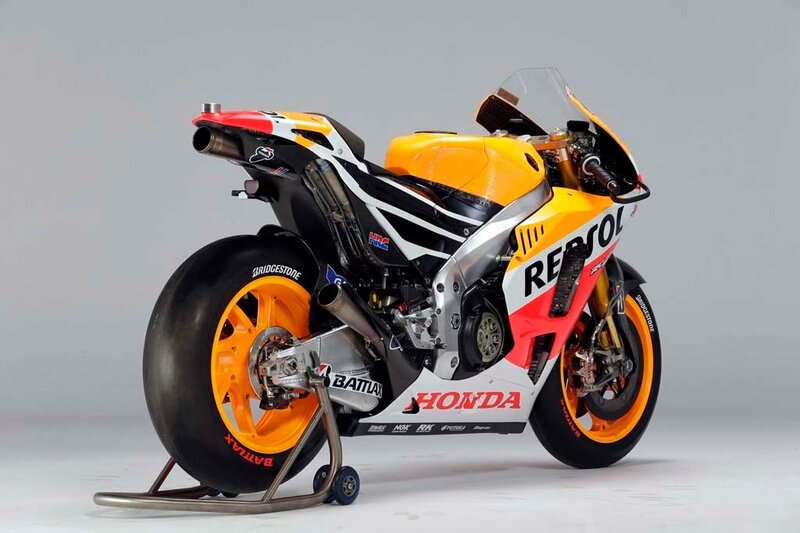 Former technical director Shinichi Kokubu will move into a new role as Honda Racing Corporation‘s general manager of the technology development division. 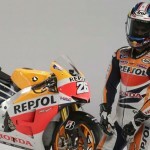 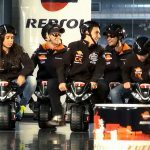 Pedrosa will be entering his eighth year with the Repsol Honda team and will try to earn his elusive first MotoGP title. 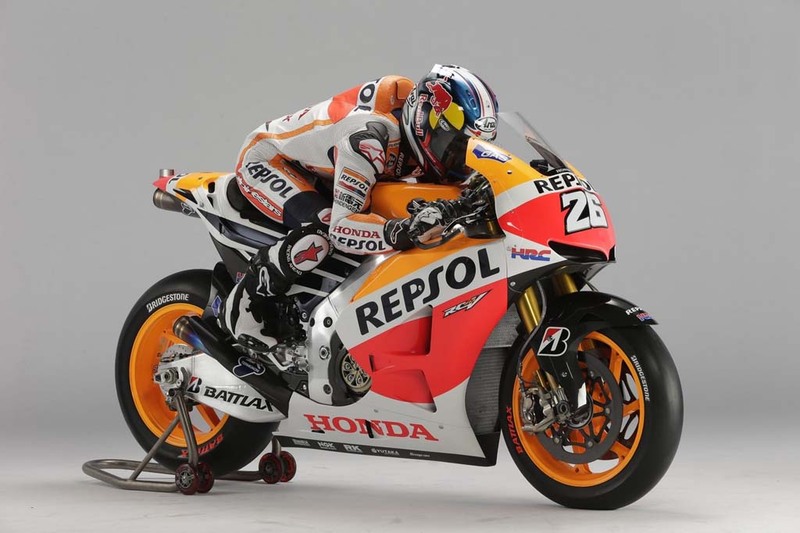 Pedrosa has never finished lower than fifth in the MotoGP class and was the runner up three times including in 2012. 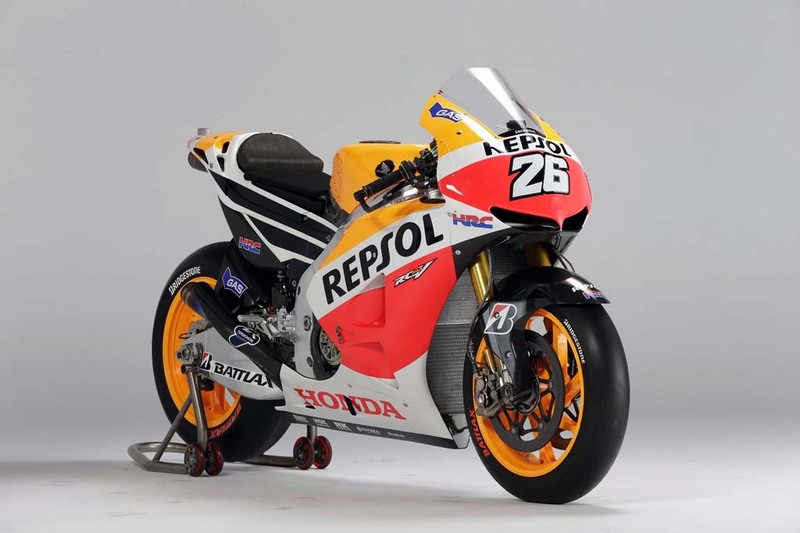 The past season was the best of Pedrosa’s career in the premier class, with seven wins including six in the final eight rounds. 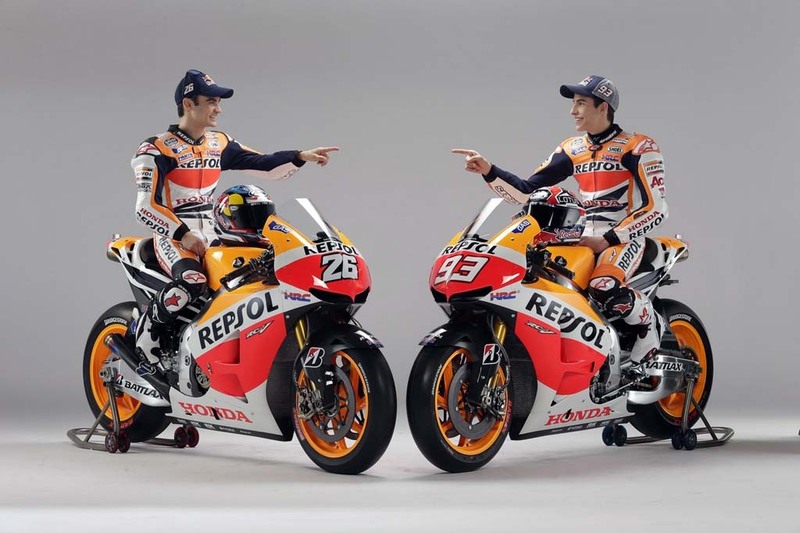 If not for two DNFs within those seven wins, Pedrosa could have won his first title instead of falling 18 points short of eventual champion Jorge Lorenzo. 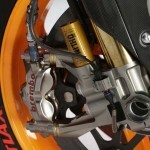 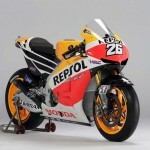 After coming close so many times, Pedrosa sees the coming season and the new livery as a fresh start. 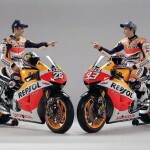 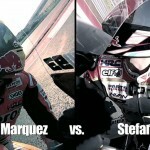 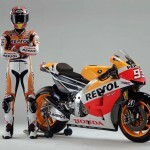 While Pedrosa is a perennial contender, he may not draw as much attention as his new teammate Marquez. 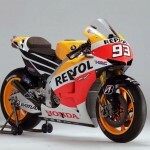 The reigning Moto2 Champion may be the most promising rookie to come out of the junior classes in years. 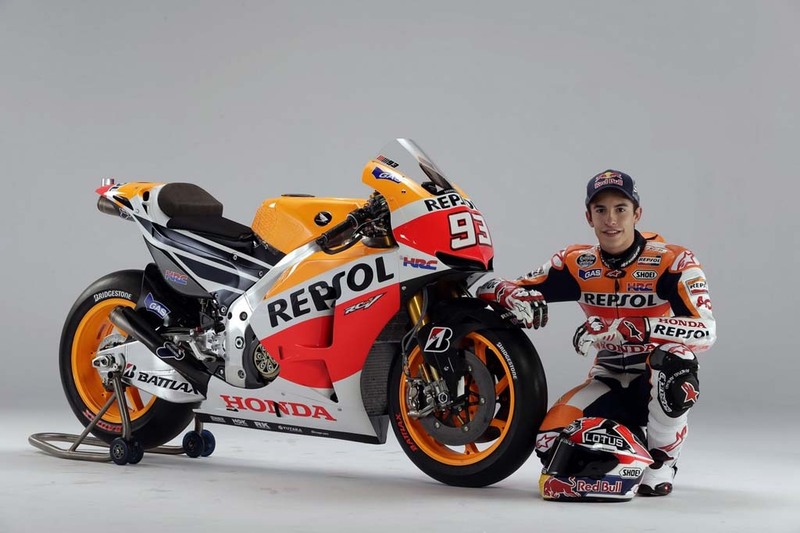 Marquez won nine Moto2 races in 2012 along with five more podium finishes and carries a reputation for being very talented, as well as very aggressive, running afoul of race direction a couple of times. 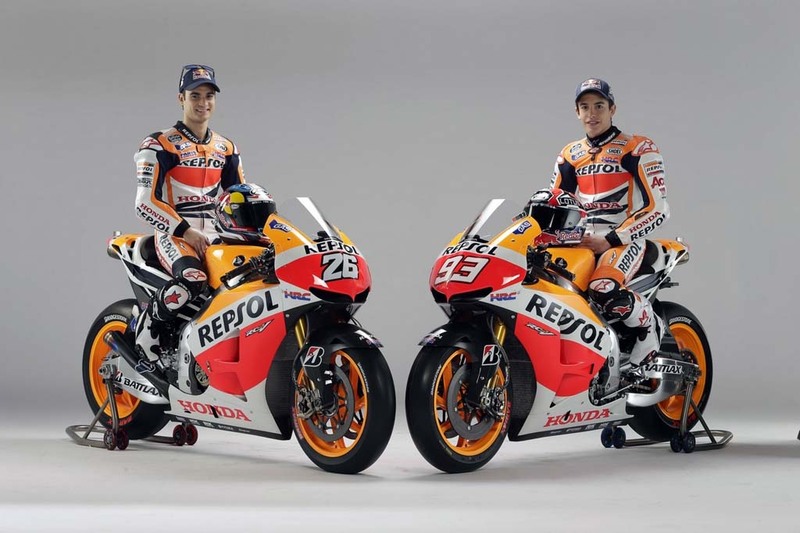 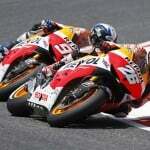 Pedrosa and Marquez will be back in action Feb. 5-7 for a pre-season test at Malaysia’s Sepang circuit.